Hello, friends, and welcome to this week's Grace at Home party! I'm so grateful you're here. Here in North Carolina we're well into the hot-hot-hot part of summer. This week I've been working hard at a secret project--but completely indoors! It's too hot to do much of anything outside. What's it like in your neck of the woods? 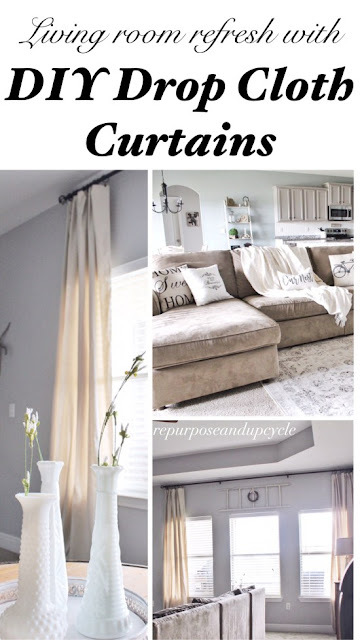 Lindsey from Repurpose and Upcycle made the most of her living room with just a few farmhouse touches, including curtains made from dropcloths. You'll want to check out her post: these are the easiest-to-make curtains I've ever seen! I was really interested in this post: Meg from Hello Farmhouse has never used the air conditioning system in her house. Now, she doesn't live in North Carolina, but she does live in an area with hot summers. 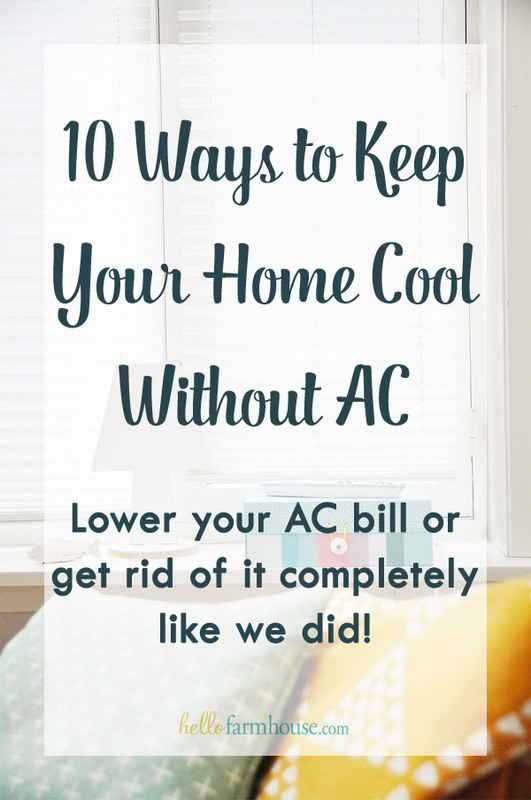 I was inspired by her post to come up with some ways to reduce my own A/C bill! Looking for a small project to work on these hot days? 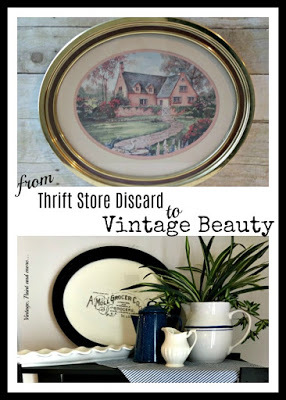 Check out this cute farmhouse sign made by Cathy from Vintage, Paint and More. I'd like to try something like this! If you're like me, you're looking for cool dinner options these days. 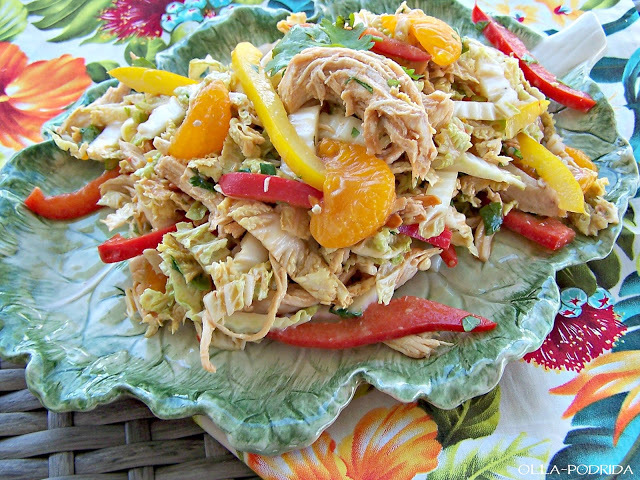 Pattie from Olla-Podrida shares a recipe for Thai Chicken Salad that looks amazing! Have you found yourself held back by fears? You'll be inspired by this post from Michelle Bengtson: Five Truths to Defeat Fear. It's very hot and humid in NJ this week too! Thanks for hosting again and enjoy the rest of the week! Thanks for hosting! I look forward to seeing what you've been working on in secret! Thank you for hosting Richella. Cool and rainy here in Maine, but my garden is happy about it! 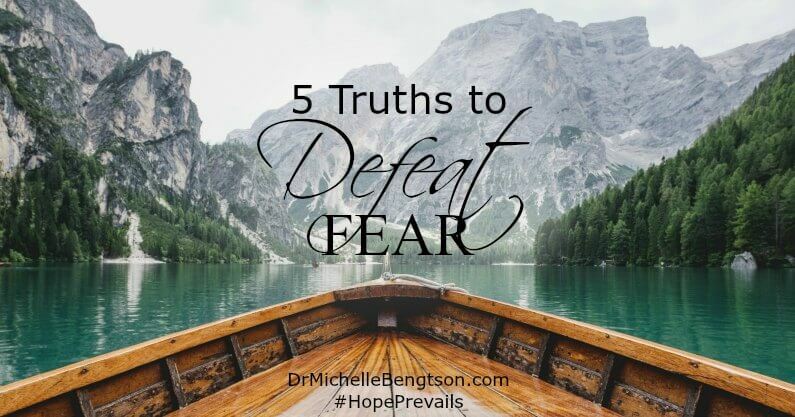 Thanks so much for featuring 5 Truths to Defeat Fear. So many suffer yet that's not God's design. Blessings to you! It's hot in WV too - climbing to the mid, upper 90s with higher humidity. Truly mid-summer. Thank you for hosting, Richella!